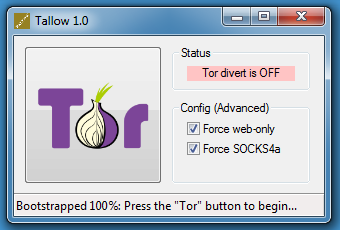 Tallow uses Tor and WinDivert to redirect network connections over the Tor network. DEBUG output created by Wget 1.11.4 on Windows-MSVC. Connecting to example.com|44.223.23.63|:80... seconds 0.00, connected. Releasing 0x0142ea78 (new refcount 1). Registered socket 300 for persistent reuse. 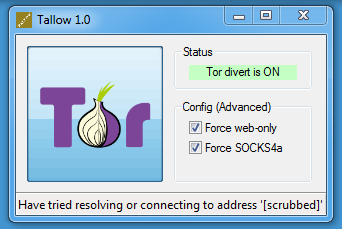 By default, Tallow only allows TCP connections on port 80 and 443 (Force web-only). Disable this toggle if you need to access other ports.